2 bedroom single-story home on quite cul-de-sac in the Fernhill community. Fernhill offers greenbelts, pool, tennis court, and recreational room/clubhouse in a prime Huntington Beach location next to Meadowlark Public Golf course and close to great restaurants and shops. 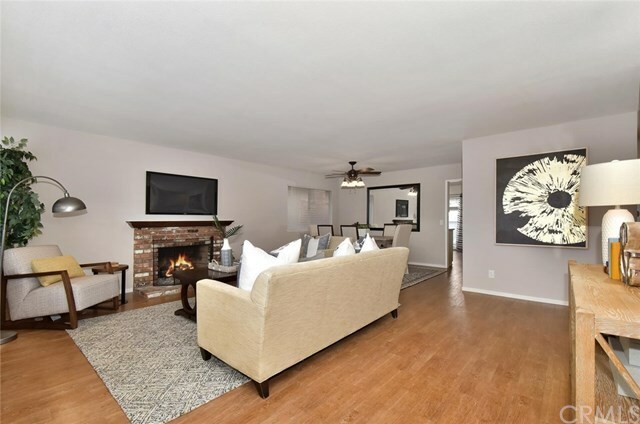 This beautiful home features a large living room with fireplace, updated kitchen with stainless steel appliances and stone countertops, âwood-likeâ tile flooring in the kitchen, dining area, and hallway, updated bathrooms, large bedrooms with ceiling fans, and 2 patios. Attached 2 car garage with work bench, extra electrical outlets, storage, and laundry area. Huge attic space with workspace and tons of storage.